Sometimes it's fun to recycle ideas or just vary them a little, like I did yesterday with the "Art Deco" card. Today's cards are both remakes from cards I made last week. Remember them? Remade from a card from this post. 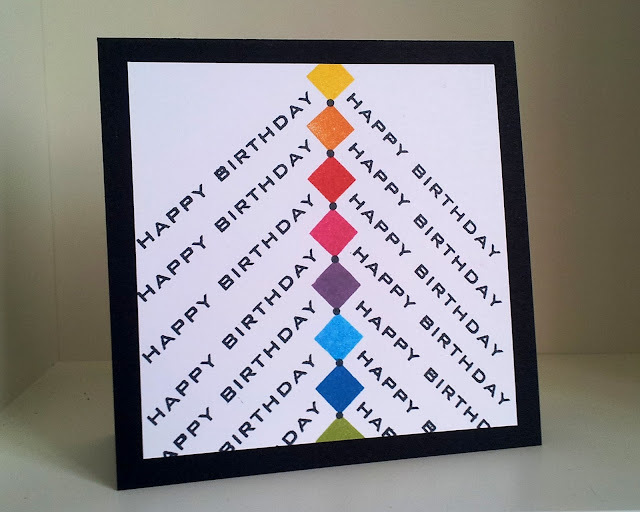 That's the thing about your cards.....the new is as good as the old because both are so original and so perfect for any gender and any age. Not sure I can do it but will have fun trying to turn out a few cards like yours. Oh my gosh....do you have any ideas left Ardyth. You just seem to crank out the most awesome cards. I love these. Oh my....I love these. 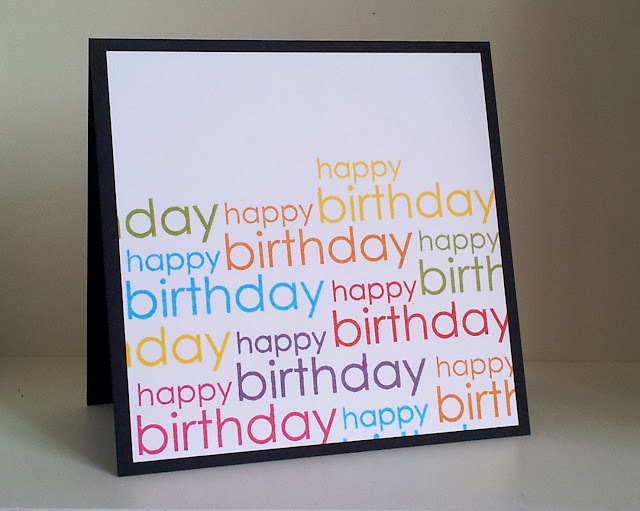 I love this happy birthday card, all the different coloured texts are great. I often take old cards and do a makeover on them (lol) and they always work out better than the original (just as well really!). LOVE both of these Ardyth, and of course you need to keep buying new stuff to play with - we all have to support the industry we love LOL!! !